I have an aversion to nuts in food. I think they taste like bark. I'm not sure how I would know what bark tastes like, but I'm confident that coffee and nuts are two of its primary ingredients. And because I'm the baby in the family, and because my mom is a spectacular mother, every time she makes rhubarb cherry crisp, she only puts nuts on half of the dessert so that I don't have to pick the walnuts out. That's the awesome kind of mom SHE is. She also grows rhubarb. It thrives happily year after year, content to be seen alongside the likes of a lone jack-in-the-pulpit, a plant that fascinated all of us girls until someone *coughcoughDADcoughcough* ran over it with the lawn mower. Or shall we say: It just "never grew back" one year. 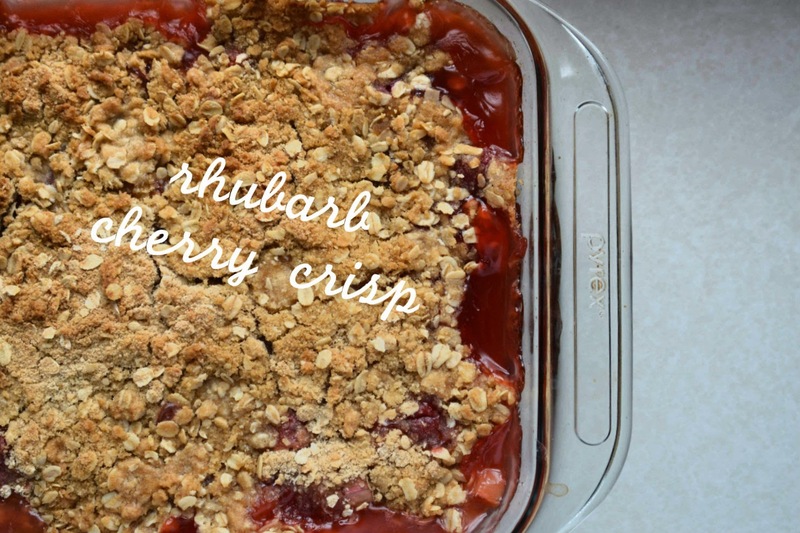 So in honor of my mom's delicious summer dessert, and to thank her for lugging four cups of freshly chopped rhubarb down to Missouri on her last visit, here's a recipe for Rhubarb Cherry Crisp: The Dairy Version. Place rhubarb in 11 x 7 x 1 1/2 baking dish. Combine sugar and cornstarch in a small saucepan. Gradually stir in water. Cook, stirring constantly, over medium heat until thick. Stir in pie filling and extract. Pour over rhubarb. Combine oats, brown sugar, flour, salt and butter; mix until crumbly. Add walnuts. IF YOU MUST. Sprinkle over fruit mixture. Bake in moderate oven (What does that even mean? It's neither Republican nor Democrat? It's an oven made in Switzerland?). 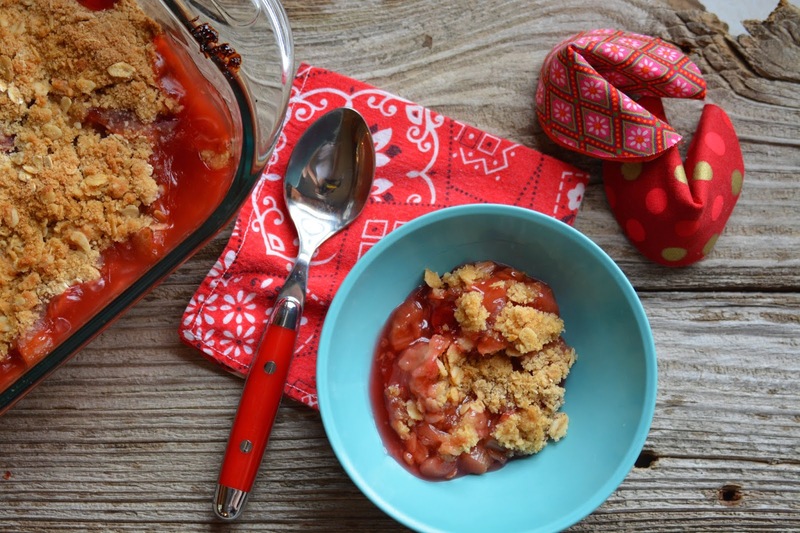 I say, bake in a 350-degree oven for 45 minutes or until golden brown and rhubarb is tender. I like a scoop of ice cream over top of a hot crisp. This recipe looks heavenly.